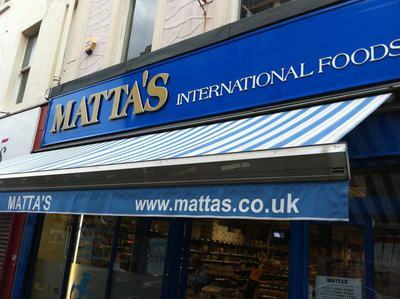 Matta's is an international food store based on Bold Street, bang in the centre of Liverpool. They have a fantastic array of herbs, vegetables, meats, spices, and fruits from all corners of the planet. I was particularly impressed after arriving home from Thailand and searching high and low for the delicious Mangosteen fruit. Matta's was the only place in Liverpool where I could find some! If you're living in, or visiting Liverpool and you have a passion for exotic food and a panache in the kitchen, Matta's is the place for all the hard to find and beautiful ingredients that you may need. The staff are extremely knowledgeable and helpful and they always seem to be cheery, which makes for a wonderful atmosphere for customers shopping here. Matta's are affordable too, considering some of the rare spices, and unusual teas that they stock. It's a great shop to visit if you fancy trying some new vegetables or fruits or exotic dishes, and the staff are at hand to give you cooking guidelines and help choosing spices that will compliment meats etc. They also stock dried fish, oils, pickles, coffees, beans, lentils, pulses, olives... pretty much everything you would want in an international food store. What's best is, as their shop is only small. They've produced an e-commerce website to order in ingredients that customers can't find in their store. Why? A fantastic array of international foodstuffs!